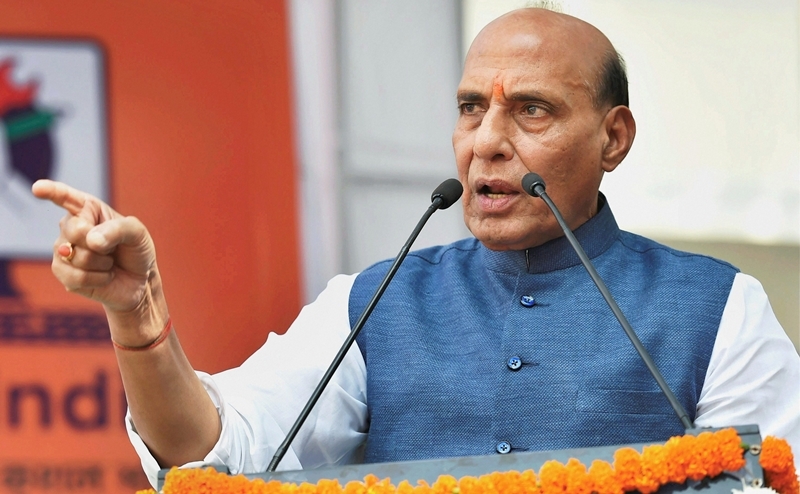 In what could relish people with the high-speed connectivity, the Home Minister Rajnath Singh launched a new Smart City project of free Wi-Fi and hi-speed broadband for the citizens of the national capital. During the launch of this project at the Charkha Park in Connaught Place, the Home Minister acknowledged the New Delhi Municipal Corporation (NDMC) for being the specimen to civic bodies of other cities. Besides this high-speed project, the Union Home Minister inaugurated — a solar tree, smart poles, Ambedkar Vatika, 50 LED interactive screens, two litter picking machines, 10 auto tippers, an ideation centre, two hi-tech nurseries and four mechanical road sweepers. All these projects serve under Smart City initiative of the centre. The event also saw the presence of Minister of State for Communication and Railways Manoj Sinha and Lieutenant Governor of Delhi Anil Baijal. Also, Baijal suggested some inputs for parking management system like red-light, Smart Poles, Digital Display panels for women complaints. “I feel very proud and my gratitude at the same time with NDMC for establishing a global benchmark for the capital city,” Baijal said in a tweet.